In an age in which internet fabrications travel half-way around the world before truth has had a chance to put its boots on, the apostle Paul’s words ring through the centuries with added urgency: “Stand firm, then, with the belt of truth buckled around your waist” (Ephesians 6:14). As the waist is the center of your body, so truth is central to the full armor of God. Without the belt of truth, the covering that protects you from the devil’s schemes simply crumbles to the ground and leaves you naked and vulnerable. Truth, like all other pieces of the armor of God, is in actuality an aspect of the very nature of God himself. Thus, to put on the belt of truth is to put on Christ—for Christ is “truth” (John 14:6). And Christians are called to be bearers of truth. Unfortunately, I’ve recently encountered further personal examples of how the internet can be used as a means of propagating falsehood. 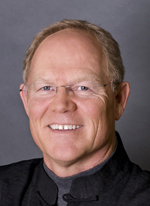 FALSE ACCUSATION: Hank Hanegraaff joins Occupy Wall Street and Muslims in anti-Israel conference in Tehran, Iran. Furthermore, rather than joining Muslims at what is being characterized on the Internet as an anti-Israel conference, at both the University of Tehran and Allameh Tabatabai University I publicly opposed the radical socialist views of Imam Abdul Alim Musa of The Islamic Institute for Counter Zionist American Psychological Warfare. Finally, I should also note that I engaged in spirited debate with Rabbi Weiss, whose calling card contains the moniker, “Pray for the speedy, peaceful dismantlement of the State of Israel.” From his perspective, the Jews were exiled for covenant unfaithfulness and therefore the notion of Zion prospering is reserved for the coming of a future messianic figure. While I strongly disagreed with the rabbi’s anti-Israel stance, I think he would readily agree that I engaged him with gentleness and with respect, in both public and private communications. TRUTH: This is a patently false and slanderous accusation. I am against racism in any form. Far from facilitating race-based discrimination on the basis of eschatological presuppositions, Christians must be equipped to communicate that Christianity knows nothing of dividing people on the basis of race. Just as evangelicalism now universally repudiates the once-common appeal to Genesis 9:27 in support of slavery of blacks, we must thoroughly and finally put to rest any thought that the Bible supports the horrors of racial discrimination wherever and in whatever form we encounter it, whether within the borders of the United States or in the hallowed regions of the Middle East. Indeed, during WWII, my family was devoted heart and soul to the Dutch Resistance Movement, refusing to give in to either racial discrimination against Jews or the Nazification of the populous. Finally, I am not anti-Israel; I am anti-Christian Zionism. Christian Zionism supposes that the Jews are going to be herded back in the Holy Land where two-thirds will be killed. Christian Zionism is not only anti-Semitic with respect to the Palestinians, it is detrimental in that the Jews are going to suffer for the sins of their fore-fathers. The Dispensationalists’ theory of two peoples of God has had chilling consequences not only for Jews, but for Palestinian Arabs as well. Unlike early dispensationalists, who believed that the Jews would be regathered in Palestine because of belief in their Redeemer, Many contemporary Dispensationalists hold to the theory that Jews must initially be regathered in unbelief solely on the basis of race. Such unbiblical notions put Christian Zionists in the untenable position of condoning the displacement of Palestinian Christians from their homeland in order to facilitate an occupation based on unbelief and racial affiliation. As a closing thought, may I simply say that while the lack of discernment and civility displayed on the internet is astonishing, it becomes all the more appalling when those who claim Christianity propagate that which is untrue in an unloving fashion.